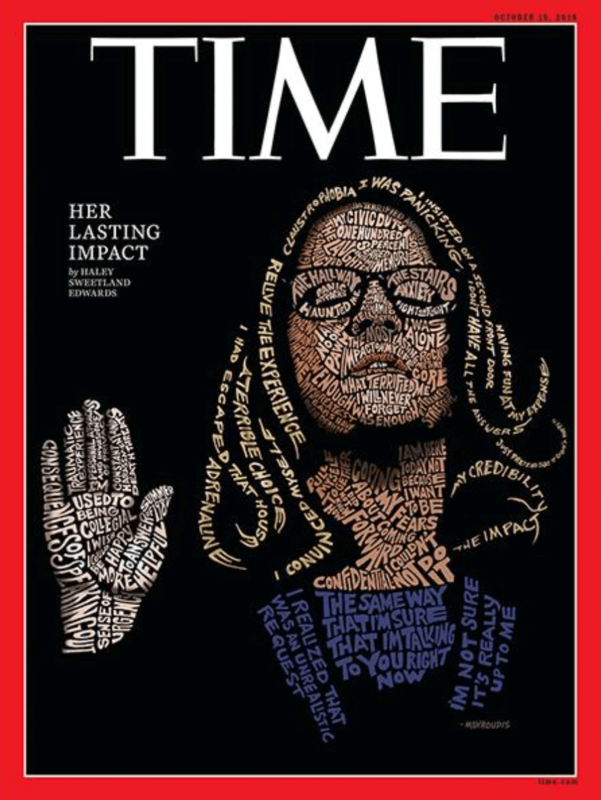 The American Society of Magazine Editors awarded its magazine “Cover of the Year” for 2018 to Time magazine for its Oct. 15, 2018, cover “Her Lasting Impact,” depicting Dr. Christine Blasey Ford. MediaPost reports that the illustration by San Francisco-based artist John Mavroudis depicts Ford as she raises her hand to swear in at the Senate Judiciary Committee hearing where she accused Supreme Court nominee Brett Kavanaugh of sexual assault. The image uses words and phrases from Ford’s testimony to create her likeness. Too bad what she said could not be corroborated by those she mentioned and most was proven to be out right lies.